A two-minute video of the Magic Room book party at Becker’s Bridal, Jan. 11, 2012. LADIES HOME JOURNAL: The Magic Room tells brides’ tales from the gown-hunting trenches, but from a genuine, warm-hearted angle that underscores the process as a special milestone for mothers and daughters. A cynical take on the bridal business would be easy to write, but that wouldn’t be Jeffrey Zaslow’s style. In The Girls From Ames, he captured the complex beauty of female relationships with insight and sensitivity. Here the Wall Street Journal columnist does the same for weddings and marriage, tenderly evoking the fantasies, expectations and personal stories of the women who step into a Michigan bridal shop’s special room — soft lighting, music, pedestal, mirrors and all — to try on dresses for their big day. Wall Street Journal columnist Zaslow (The Girls from Ames, 2009, etc.) delivers an emotive excursion through the world of parents and daughters and the state of marriage in the United States. The author approaches his subjects via a small-town Michigan bridal shop, a canny choice in that he can take measure of the heartland while framing the bigger picture through sociological studies and then tightening down to his own fears and hopes as a father of three girls. The town of Fowler has only 1,100 residents, but it is a major crossroads in many lives: Becker’s Bridal has sold more than 100,000 gowns over nearly eight decades and four generations of Beckers. Zaslow writes in a tone of inclusive intimacy, focusing on six women who went to Becker’s to find the right dress. The author plucks at the heartstrings as he relates all the yearnings of the brides-to-be and the travails they encounter on the way to the altar. 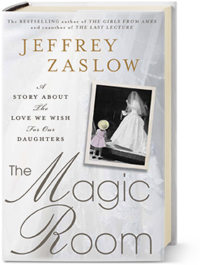 Zaslow offers plenty of statistics about love and marriage, but they pale in comparison to the everyday stories of the complex circumstances that often surround the big day. “A wedding is a happy life-cycle event, yes, but the harsher life-cycle moments aren’t kept at bay until after the wedding […] weddings are often optimistic islands surrounded by oceans of uncertainty, loneliness, and grief,” he writes. “For some women, a bridal gown can feel like a life preserver.” The author’s vignettes of the six women are wildly dissimilar, but they weave together into a complicated damascene that holds true to much age-old wisdom: Marriage involves serious demands on patience, endless petty annoyances and many compromises, as well as modesty, respect and duty. Zaslow’s profile of the bridal shop, from the geopolitics of dressmaking to the effects of TV shows like Bridezillas, is almost as riveting as the bridal tales. In the small town of Fowler, MI, Becker’s Bridal has served over 100,000 brides-to-be since the mid-1930s. Along the way, fashions and customs have changed as brides have visited the store’s so-called Magic Room to gaze at endless mirrored images of themselves in their wedding gown, an apt metaphor for Zaslow (columnist, Wall Street Journal; The Girls from Ames: A Story of Women and a Forty-Year Friendship) as they reflect on their lives, relationships, and dreams for the future. Zaslow shadows half a dozen of the women who go to Becker’s Bridal, listening to their stories and writing a compelling and sincere chronology of the experiences, tragedies, and love that led them to the shop. 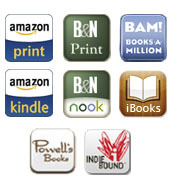 His narrative is sprinkled with fascinating statistical information concerning marriage and divorce, as well as his cultural analysis and observations concerning family and spousal relationships and insights into the lives and relationships of the four generations of Becker women who have worked at the store. VERDICT Not an examination of today’s marriage industry but a study of individual lives and dreams, this is recommended for casual readers and those with an interest in cultural and social customs concerning marriage, women’s roles, and parent-child relationships.